Hello everyone! 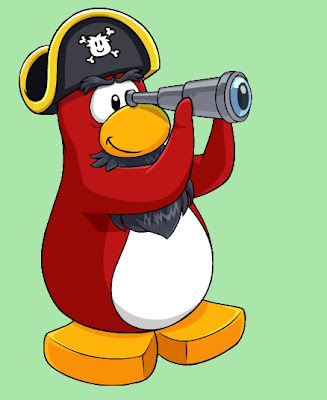 In case you don't know who Rockhopper is he is a pirate who waddles around Club Penguin! When he comes, I open a tracker to find him! I had alot of people participate! Thanks for tracking with me guys! You all were awesome! Since I only had 3 1/2 days of the tracker open, I hoped to at least find Rockhopper 8 times! But you guys completely beat my goal! Because of you guys, we set a new amazing record! We have found Rockhopper 40 times! That's crazy! That was really amazing, and thank you all so much for it! Be sure to find Rockhopper by using the tracker! Click here to track him!